From harbors of Key West to the wilds of Biscayne Bay to the night lights of Miami, Kling's tough-minded heroine has carved out a life that is uniquely her own. Now, in WRECKERS' KEY, the fourth book in the series, this fiercely independent woman is at a turning point . . . and in a dangerous duel with an unseen enemy. Before Key West was the party capital of the Florida Keys, it was built by wrecking skippers who in feats of derring-do raced to shipping disasters to save valuable cargos from the ocean depths. But when a friend is killed, Seychelle begins to suspect a chilling scenario: that modern-day wreckers are causing yachts to crash onto the reefs-and killing off whoever gets in the way. Seychelle's dear friend Nestor Frias was piloting a billionaire's luxury power yacht on its maiden voyage when it ran up on a reef. A few days later, Frias was dead. His eight-months-pregnant widow Catalina is distraught, and a host of questions surround both Frias's death and the ship's accident. When Cat turns to Seychelle for help in proving Nestor was murdered, Seychelle embarks on a dangerous course through the shoals and channels of the case and her life, unaware that a greater danger is looming: a murderous human storm designed perfectly for her. 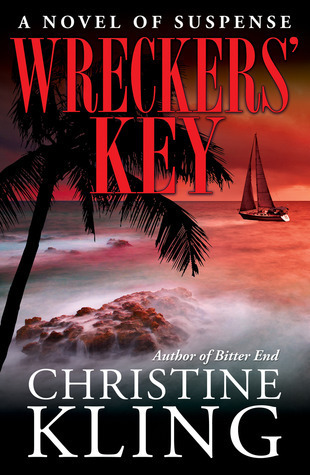 With its vivid, colorful characters and rich sense of sea and land, Wreckers' Key is a brilliant addition to Christine Kling's fascinating, entertaining, and thrilling Florida mystery series. From the very beginning, you can't help but feel a sense of foreboding that only the best suspense novels are known for. With a multimillion dollar boat crash, Seychelle is quickly up to her eyeballs helping a close friend save his career before his baby comes. Wreckers' Key is a book loaded with great characters and mysteries. While this is book 4 of the series, it can be enjoyed as a stand alone book. 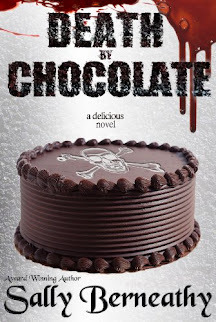 Grab a cup of hot chocolate and set sail on a suspenseful adventure.